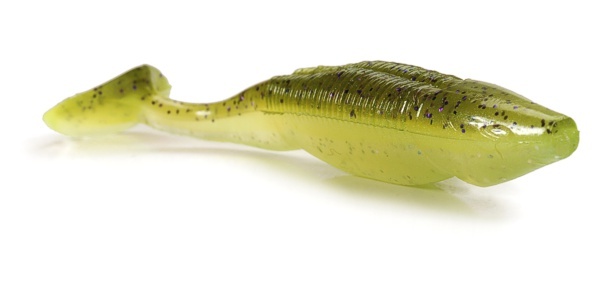 Little Spanky is 3.25" solid body swimbait. Great rolling action in addition to the paddle tail thump. Fish it on a Little Pek-R weedless jig head, Texas-rigged, on a bladed jig, swim jig or a drop shot. Want to throw a buzzbait farther? Rig one of these on a skirtless buzzer! 9 per pack.